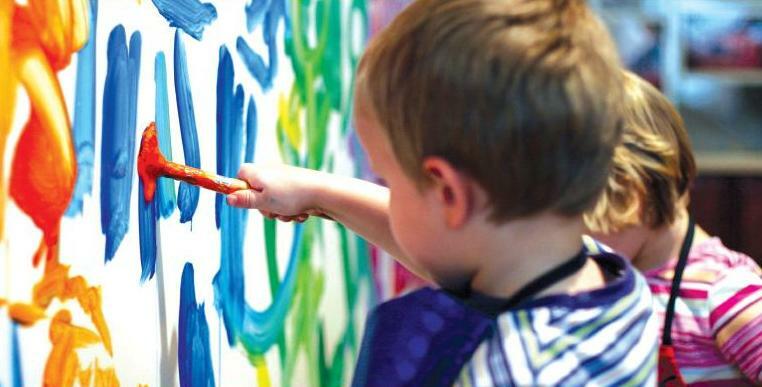 Imagination, innocence, and trust. Qualities I love about children. On the days I’m fortunate enough to serve at the Nazareth Hospitality Center, I get to witness these qualities. Interacting with the children is the highlight of my day. But when the migrant children first come through our doors, their faces reveal anything but trust. Their eyes search me, as if for a sign. Some cling to their parent’s side or try to crawl in their mother’s lap. Others sit quietly on folding chairs as I explain to their parents where they are and ask the necessary questions to fill out our paperwork. Sometimes when I bend down to tell a child my name and ask his or hers, I get no answer. The little girl glances away shyly. The little boy pulls closer in to his mother. I wonder what they’ve experienced on their journey. And I’m aware of the place they just came from—an Immigration and Customs Enforcement holding facility. I ask if they are hungry. And I smile. A lot. After a while, they respond. They begin to trust that we really do care about them here and that this place is safe. Once a child joins in my game of peek-a-boo or lets me chase him like a make-believe dragon, I feel reassured that despite whatever they’ve experienced, their imagination and innocence are still intact. Besides, once they see the toy room, they can’t hold back. Before long, I hear the sounds of giggles traveling down the hall and plastic wheels being dragged across the linoleum. Or I’ll walk by and catch a budding artist concentrating on her picture. Later she’ll ask me for tape so she can add it to our wall collection of drawings from the hundreds of children who’ve passed through this center. Most likely her colorful drawing will include words like “blessed” and “thank you” and “God.” Always the children are thankful. No matter what they’ve experienced. Luis, a young man who volunteers at Nazareth, knows a lot about the migrant children. About their innocence and imagination. Their trust. And their faith. In addition to taking classes, studying, and juggling a full schedule, for the past six years Luis has volunteered with his church’s immigrant ministry. On weeknights and some weekends he visits and works with the children and youth confined to detention centers. These children are what our government calls UACs — unaccompanied alien children. That means they’ve come to the border without a parent. Unaccompanied children under 12 are put in a foster care-type system until they’re reunited with a parent or deported. Youth 12-17 are placed in a very structured and secured detention center. #1 – “To be with my parents/my mother.” Often the child’s parent came to this country years ago to work and support the family. Some haven’t seen their mother since they were toddlers. #2 – “To escape the violence.” Now more than ever children tell Luis of being threatened by gangs. Girls often don’t even go to school for fear of being raped. They tell him no one can protect them. Luis has many stories about the children and youth he’s encountered. Tough stories to hear. Stories about the pain of being separated from parents for years. Stories about things children shouldn’t have to endure. But Luis has something else, too. A very special scrapbook filled with drawings and letters from the children. They say how blessed they are to have known Luis. In their neatly printed letters, they thank him and thank God for him. And then there are the drawings. So precious. 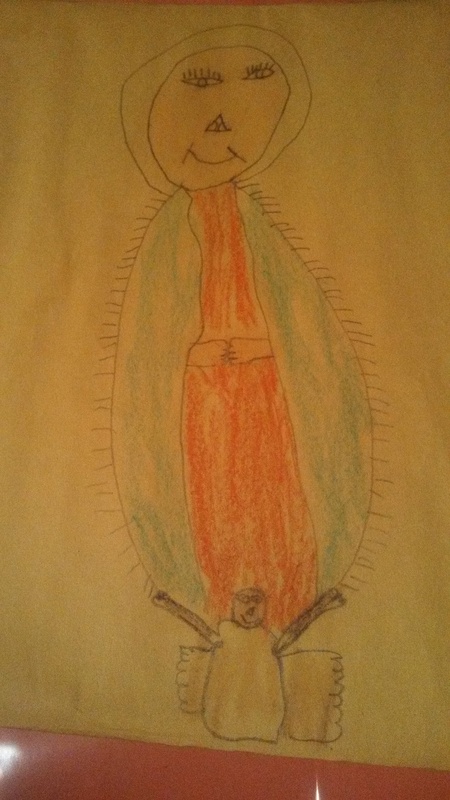 A seven-year-old’s version of Our Lady of Guadalupe. A young teen’s intricate painting. But there’s one unusual drawing that Luis especially likes to explain. One day he’d asked the little kids at the center to draw a picture of what God looks like to them. 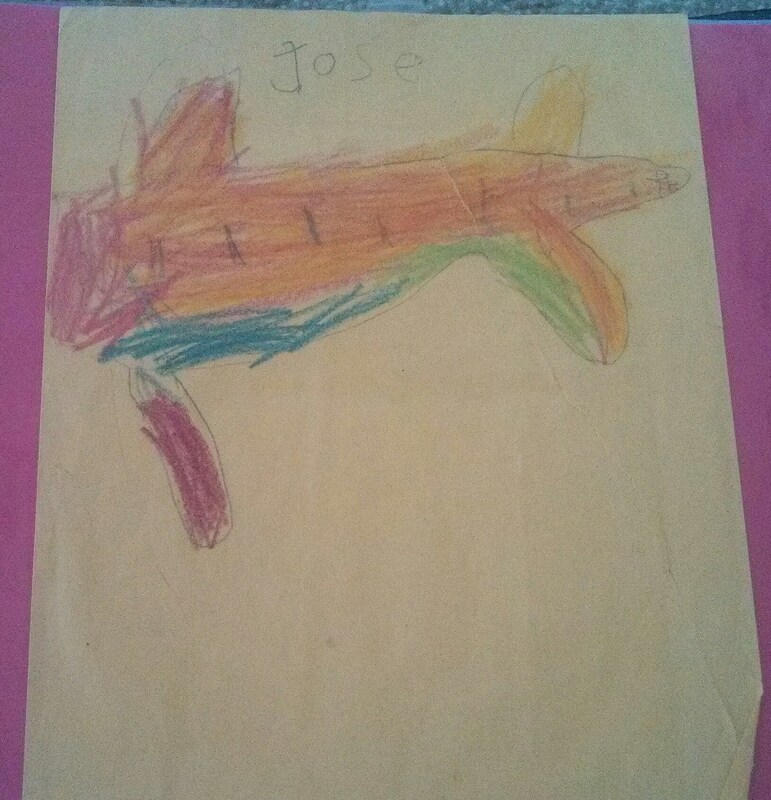 Six-year-old José presented a colorful, oblong-shaped object up at the top of his page with his name above it. Not having a clue as to what it was and not wanting to hurt José’s feelings by trying to guess, Luis simply asked him. “An airplane,” the little guy answered. Trauma. Heartbreak. Disappointment. 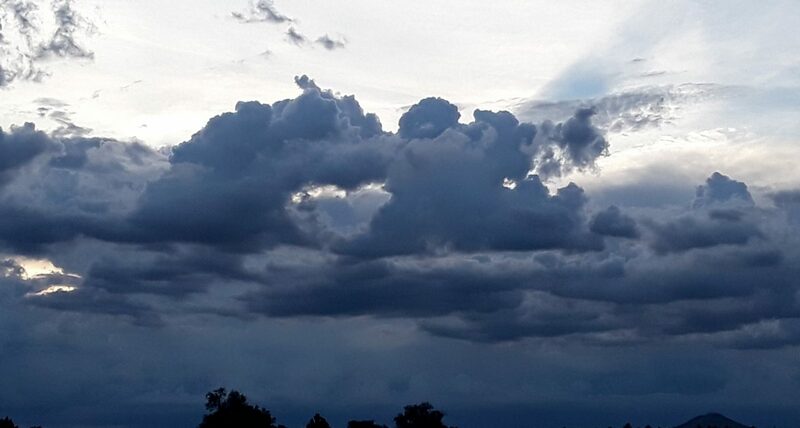 Uncertainty about what’s going to happen tomorrow. This is what these children experience. Yet they remain innocent. They still have faith and trust in a God who is present no matter what. And their imagination soars. Just like José’s airplane. It makes me wonder. If I’d been through what these kids have, how might I draw God? When Davis was 3 years old, we took a family vacation out west and landed in Reno for a few days. Since David and I loved to hike, we wanted to trek the trails around Lake Tahoe. Only problem was, we could no longer conveniently strap Davis into one of those child carriers and hoist him on our backs. And since his little legs wouldn’t have made it on their own, we came up with another strategy. We’d take turns entertaining Davis while one of us ventured off on the adult activity. So while David hiked one of the more strenuous trails, I chose a short — or so I thought — trail that led to the lake shore where Davis could play. Going down to the lake was easy and fun. We sang and skipped. Davis giggled much of the way. But I’d miscalculated the trip back. The trail was all uphill. And we were both less perky than when we had started out. As anyone with young children knows, when they’ve determined they can’t walk any farther, your options are limited. You either drag them along or carry them. I chose the latter. So, I lifted Davis onto my back and started off again. Much more slowly. The weight of a hefty, healthy child made me stop every once in a while either to sit or to let him down so I could rest. The trail stretched on much longer than I’d remembered. I didn’t complain though. Well, maybe just a little to David afterwards when he showed up exuberated by his adventure. But the truth is, I really hadn’t minded carrying Davis. For me, there had been no other option than to give my son what he needed. I remembered this incident recently when I heard the story of a 12-year-old boy who had been found attempting to cross the border. 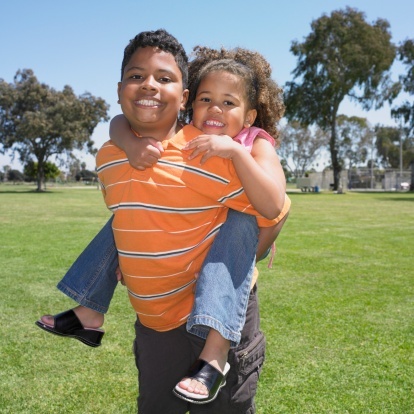 He was carrying his 9-year-old paraplegic sister on his back. Through the desert. Carrying my little son on that short hiking trail was one thing. But would I, as a preteen, even entertain the thought of lugging my sibling on my back for hundreds of miles on such a treacherous journey? I had to admit, I wouldn’t. But then I never had to experience what these children have faced. The #1 reason unaccompanied minors are coming to the U.S. nowadays is to escape the violence. In countries like El Salvador, Guatemala, and Honduras, many girls stay home from school for fear of being raped. Boys are often threatened with their lives if they don’t work for the gangs so prevalent in these countries. Their government doesn’t protect them. Another reason many children come is to reunite with their parents who left home years ago to find work in the U.S.
Like the 6-year-old boy Luis told me about who drew an airplane to represent God. The boy explained that God was in the heavens, and, like an airplane, God would quickly take him to his mother if he kept God in his heart. Despite the traumatic journey this child had experienced in order to be with his mother, and now finding himself in detention, his innocence and faith in God remained. The boy amazed Luis. He did me, too. On days when I feel discouraged, when I wonder what is next for me, when I don’t feel like I have enough courage and faith for this journey, I need to remember these children. They can teach me a few things about what it really means to have faith, to trust, to hope. And not to complain. I’m going to be with my son this Christmas. That’s huge. For many reasons. One being that just a month ago I didn’t even know where I’d be spending Christmas. Would it be San Antonio? With my cousin in Austin? Yet another new place in El Paso? Or my home in Virginia? Turns out I’ll be able to return home for a few days. Just long enough to really take in my son, to try to get my fill of his handsome looks, his dad’s blue eyes, his weird sayings (“true that”), and his enviable easygoing attitude. Even when everything else in my life is uncertain — as it has been quite a bit lately (that might be considered an understatement) — I can still fall back on this one steady, sure, undeniable truth: Davis loves me. And I love him, in a way I could not have imagined possible before I actually gave birth to this child. Another reason being with Davis means so much to me this Christmas is because I’ve become keenly aware of many families who won’t be together. For some, a loved one has recently passed on, leaving a gaping, indescribable ache that I know can’t be soothed — at least not for some time. For many others, the painful physical separation has been forced, or even chosen, because of their life circumstances. On Sunday I found myself among at least 70 youth who fall under that latter category. 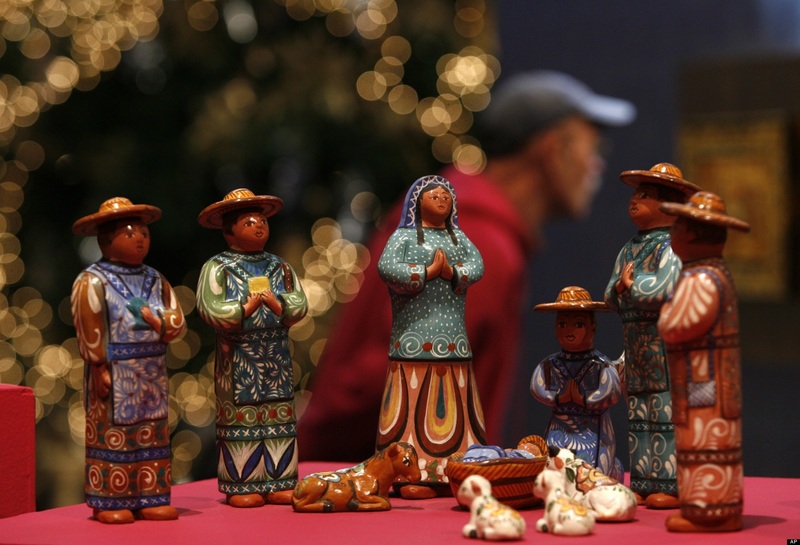 The setting: St. Pius Catholic Church’s annual Christmas party for detained migrant youth. For several years, the Rico ministry at this amazingly generous parish (the church has 62 ministries!) 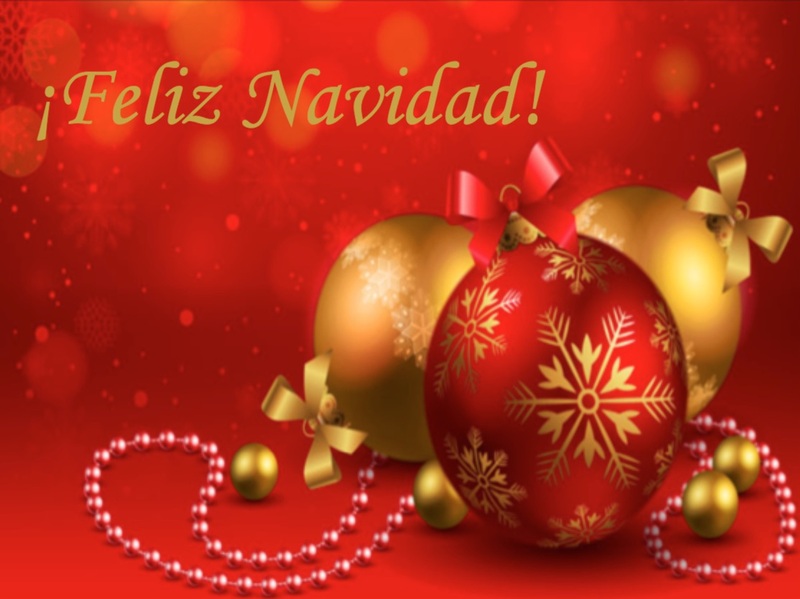 has been hosting young teens from detention centers here in El Paso to a Posada and early Christmas celebration, complete with Piñatas and gift bags stuffed with a new article of clothing, candy, and other items for each child. I suspect such a gift is a first for these kids. 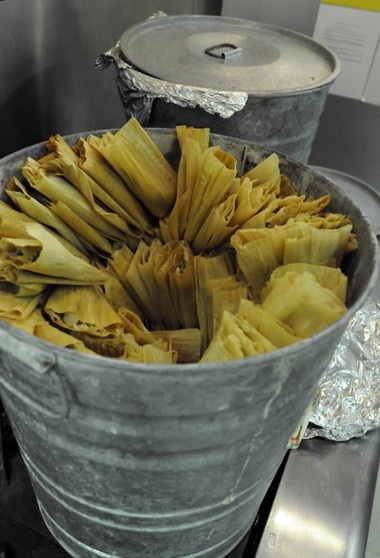 The youth travel with their “guards” to the parish where they are treated to homemade tamales (a traditional Mexican dish at Christmas) with rice and beans, washed down with ice tea, followed by cake, cotton candy, and other sweets. All of it served by happy volunteers dressed in elf costumes and Santa hats while a Mariachi band sings Spanish carols. One of the volunteers offered grace before the meal and as the children bowed their heads, I took the opportunity to look around the room. Rows of black-haired boys and girls, eyes closed, hands folded, obediently praying. Every one of them. Some mouths moved in silent prayer. One young man strained to control his quivering lips. So many furrowed brows, tightly closed eyes — I wondered what was in their hearts, what they had endured to get here, only to find themselves alone in a detention center at Christmas. And I marveled at their childlike faith. Still vividly present. I knew I was witnessing a sacred moment. Not only in watching these children pray, but in the true manifestation of the Incarnation that I was experiencing in these volunteers who had given up their Sunday before Christmas, and so much more, to be here attempting to give these kids a taste of Christmas away from home and family. Tonight as I look out my window from my little bedroom at the wide expanse of lights spreading over the cities of El Paso and Juarez, Mexico, I’m aware that I, too, am away from home. But my circumstances are very different. 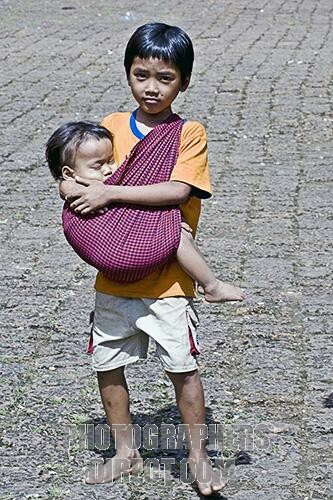 I have choices that not only these children, but many people in the world do not have. When I arrive in Virginia tomorrow to spend a few days with Davis, the house won’t be ready for Christmas. No holly, mistletoe, or angels dangling from windows or doorways. No softly lit Christmas tree or festive packages wrapped with matching ribbons and bows. No turkey in the oven. No, it won’t be the same perfect kind of Christmas I always strive to give my son. But we’ll have food and warmth and safety in our own home. And we will be together. A gift I appreciate now more than ever. The most perfect gift of all on this very unusual, not-so-perfect Christmas. As a parent, and a widow, I know how painful it is to be separated from those I love. Maybe you know this pain, too. A child off to college, or even summer camp, can cause that lonely feeling to creep in. Even though we hold those we love in our hearts, we miss their physical presence. And we can barely wait until we see them again. But what about when you don’t know when you’re going to see your child again? What about when you have to choose between staying together as a family and going off to a job that means living apart? When that choice means whether or not you can provide food and basic necessities for your loved ones, it doesn’t seem like much of a choice, does it? And sometimes there is no choice at all. When an undocumented immigrant is deported (or relocated, or whatever the nicer-sounding word is that’s used these days), it can happen unannounced and unexpectedly, with no time to say goodbye. On Saturday I spoke with Sr. Fran—the nun with whom I’ll be staying while serving on the border next year. We tossed around ideas of how and where I might best be of service. Because my Spanish is limited and my heart filled with compassion for the little ones, her suggestion that I could work with the children in the detention facilities especially attracted me. These are children apprehended at the border. Some are accompanied by their parents. Some are not. Either way, whether they come with their parents or not, they will be separated from their family for a while. There are no detention facilities that allow families to stay together. Unaccompanied youth, some as young as 2-years old, get sent to a detention facility or transitional foster care center as they await their plight. Their parents, who came to the U.S. months or even years earlier to seek work, have paid guides or “coyotes” $2,000 to $3,000 to bring their children across the border. They did this because they realize they can’t go back home. And they miss their children. It’s a risky situation, to say the least. But so is going back home where either there is no work, or they are barely surviving. For some, living in their country is too dangerous. I’ll say more about this in future blogs. For now, I simply want to acknowledge that the separation of families is one of the most painful realities of immigration. Thanks to my experience on the border, I am being shown the harsh reality of why some parents have to make that choice. Or have it made for them.